Our products are developed and tested for the harsh conditions of the North Sea. Delitek a marketing leading manufacturer and supplier of complete onboard waste handling systems for maritime and offshore industry. From our headquarters in northern Norway, we produce and ship high quality stainless steel equipment and clever storage solutions that are second to none when it comes to durability, practicality and ease of use. Delitek is a marketing leading manufacturer and supplier of complete onboard waste handling systems for maritime and offshore industry. From our headquarters in northern Norway, we produce and ship high quality stainless steel equipment and clever storage solutions that are second to none when it comes to durability, practicality and ease of use. 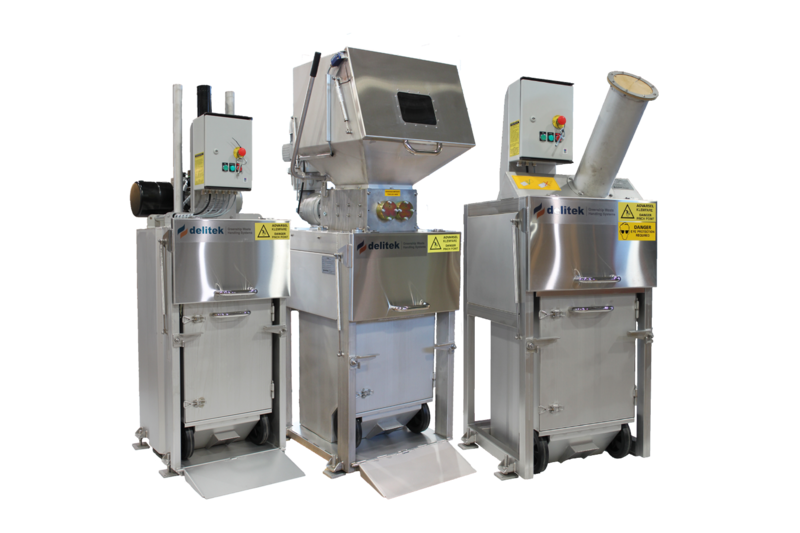 The DT-200series “Greenship” waste handling system is our smallest system, consisting of an optional combination of products from our DT-200 product portfolio. For a long time, ours was a world of indifference regarding maritime waste disposal. “Whatever floats your boat” was quite literally the attitude most people had towards waste disposal at sea up until the last few decades. But as we came to the realisation that there was a limit to how much waste our oceans could handle, attitudes changed and the need for alternative solutions arose. Providing the worlds best solutions to this problem is the mission that floats our boat.